I LOVE the London Marathon! Each year I settle down in front of it, mug of tea in hand and paper hankies at the ready. Long before anyone reaches the finishing line my eyes are guaranteed to be full of tears. There are the stories of the many runners for whom just making it as far as the start line is a major achievement - the ones who have come through illness, injury and other tragedies, their spirits strong and intact even as their bodies aren't. There are the ones running to raise money for medical research in memory of a beloved friend or relative, or simply for a cause they believe in passionately enough to put their bodies through this gruelling ordeal. And then there are the ones interviewed at 20 miles, their legs like lead, their bodies utterly drained, faces etched with pain, determined to keep putting one tottering foot in front of the other, their minds focused solely on the thousands of pounds pledged to their charity. This year's Marathon will have an extra emotion and poignancy, after what happened in Boston less than a week ago. Extra emotion, and also extra strength. I'm a Londoner, and one thing I know about my city is that, having survived the Blitz, terrorist bombings and riots - the latter two within the last few years - its inhabitants will not be daunted by any new potential for violence. And for me, there will be an extra dimension, in that I'll be cheering on one runner in particular, as he wombles his way around the course. 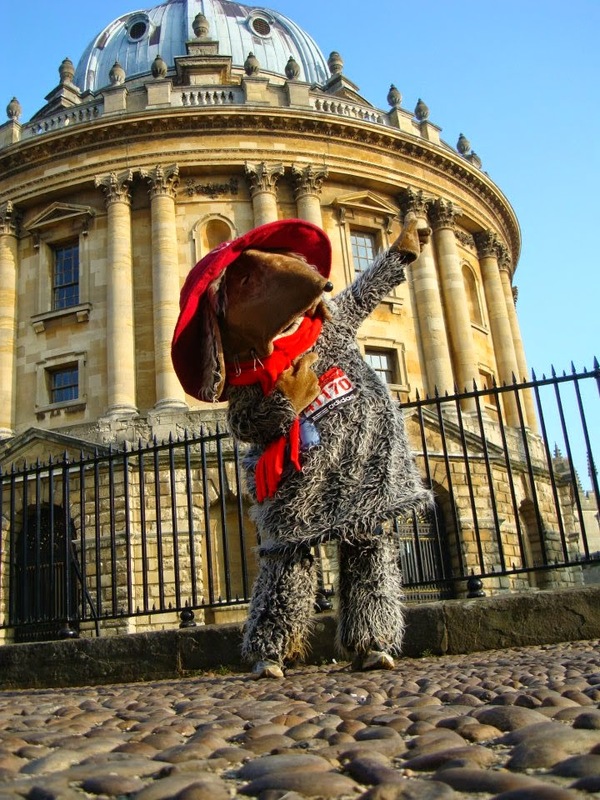 Orinoco Womble, who doubles as an Oxford DPhil student, is running to raise money for Jesuit Missions, who are based in Wimbledon (hence the annual team of womble runners). For the past few weeks this giant friendly rodent has been pounding the streets around some of our most venerable Oxford landmarks and favourite shops, raising incredulous stares as well as awareness of the cause for which he's doing it. You can say that he, and all those others who will be running 26.2 miles weighed down by cumbersome fancy dress are mad and foolhardy, and to a certain extent you would be right. Or you can - as I always am - be moved to tears by such examples of valiant, generous love. Because that's what this madness is all about - love. We can call it by other names - passion, courage, whole-heartedness, single-mindedness, commitment, care and concern - but really, basically, it's love, pure and simple. For what other reason would anyone put themselves through such an agonising ordeal? And what else, but love, has the power to move and inspire so strongly? Many waters cannot quench love... and neither, in a marathon, can exhaustion and leadened limbs. My Womble friend has also produced a video, which you can enjoy here. Guaranteed to make you smile, and to have you singing the Womble Song!